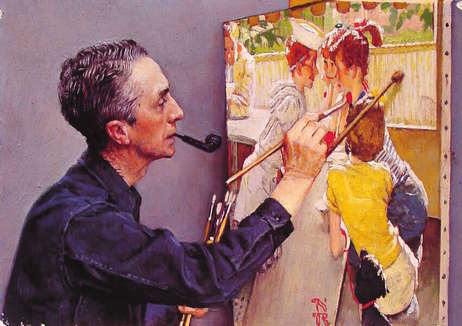 Norman Rockwell was a 20th century painter and illustrator who was very popular in America. 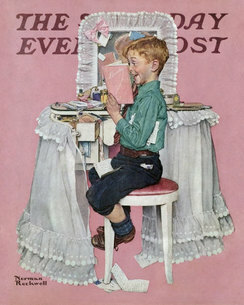 An illustrator creates art for books or magazines. 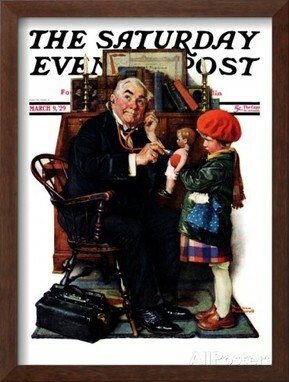 Rockwell produced over 4,000 works and was most famous for his ​Saturday Evening Post covers. Most of his paintings portray American life in an affectionate manner and many tell a story. 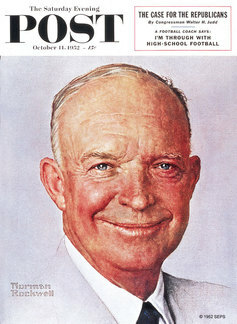 Rockwell was awarded the Presidential Medal of Freedom. 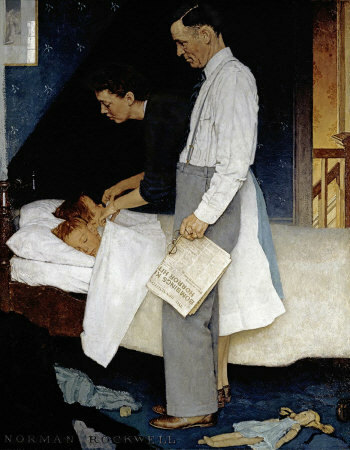 Rockwell's paintings are still loved today for the way they portray common joys and sorrows of everyday life. Our painting of the week is Outward Bound. 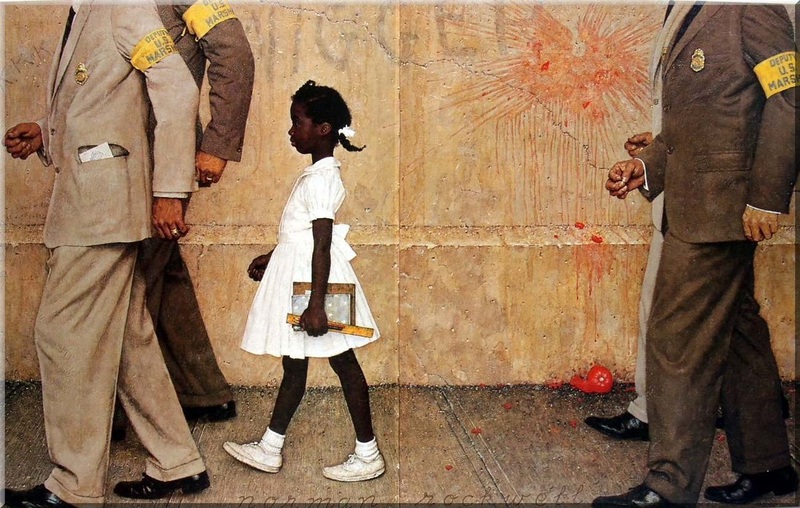 Many of Norman Rockwell’s paintings tell a story or hint at one. Our painting of the week, Outward Bound, seems to have a story. The painting has two subtitles: The Stay at Homes and Out to Sea. 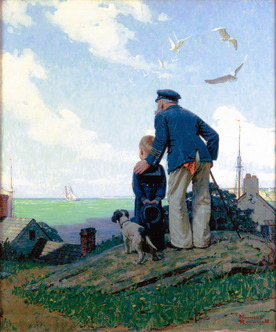 We wonder if this picture isn’t telling the story of a grandfather who used to be a sea captain, watching with his grandson as the boy’s father, which would be the grandfather’s son, sails away on the ship in the distance. Maybe the grandfather and grandson will be company to each other while their father/son is away. Rockwell painted many pictures featuring children and the elderly such as we see in Outward Bound. This illustration was created for the cover of a 1927 issue of Ladies Home Journal. 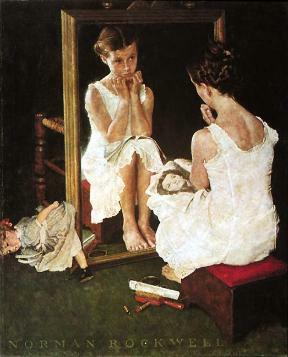 Many of Rockwell's paintings hint at a story. What story do you think these two paintings tell? 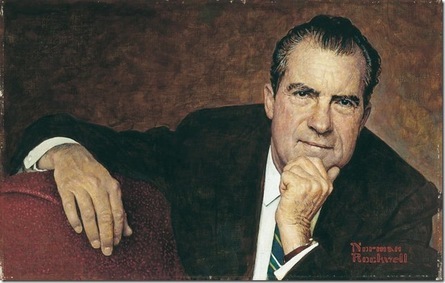 During Norman Rockwell’s long career, he was commissioned to paint the portraits for several Presidents as well as other famous people. 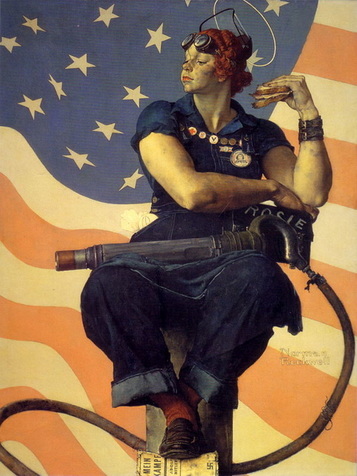 In 2009, the Crystal Bridges Museum of American Art, which is in Arkansas, added one of Norman Rockwell’s paintings, Rosie the Riveter, to their permanent collection. The painting depicts a strong, capable feminine figure working for the home front during World War II. 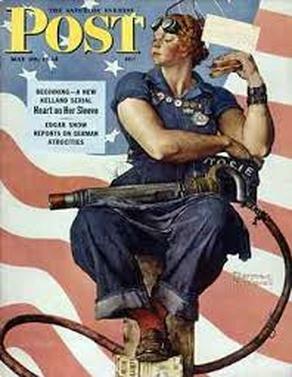 The character of Rosie represents the “can do” spirit that American women showed during the crisis of the war. 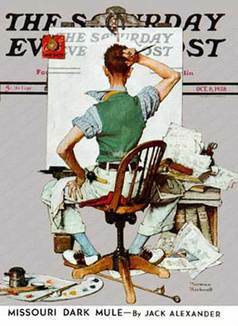 It was painted for the May 29, 1943 cover of the Saturday Evening Post, but it was also seen by everyone due to its mass distribution as a War Bond poster. Rosie the Riveter celebrated, and even helped to invent the beginnings of women’s equality. Crystal Bridges bought Rosie the Riveter from a private collector, which now gives public audiences the chance to see and enjoy this painting which became a popular icon for the power of women and the American spirit. 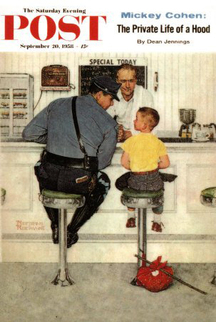 Norman Rockwell was sometimes referred to as "Mr. 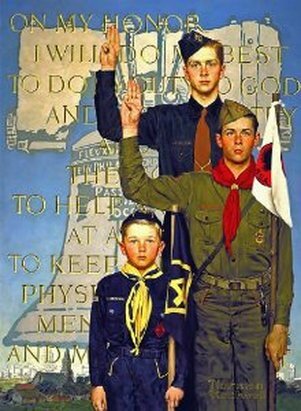 Scouting" for his long association with the Boy Scouts of America. 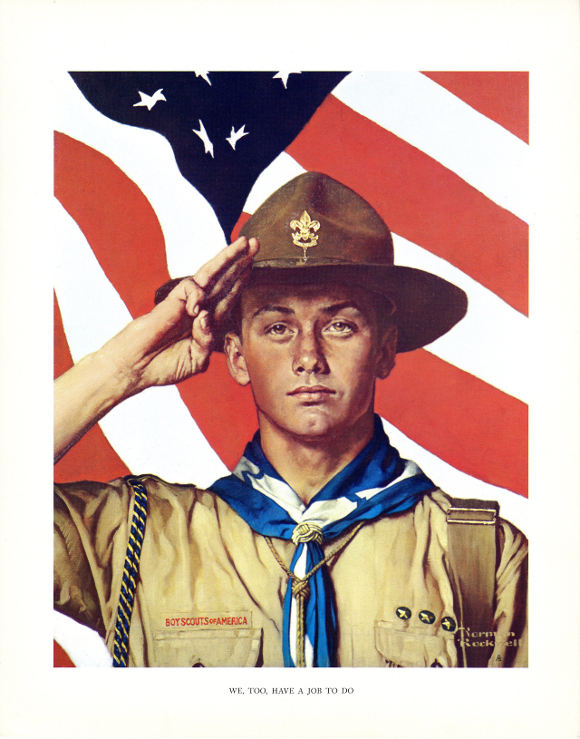 When he was just seventeen years-old, he was hired as the art director of Boys’ Life, the official publication of the Boy Scouts of America. 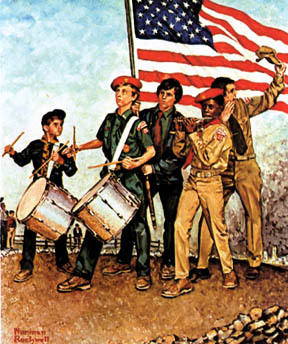 His last commission for the Boy Scouts of America was a calendar illustration titled The Spirit of '76 which was completed when Rockwell was eighty-two. 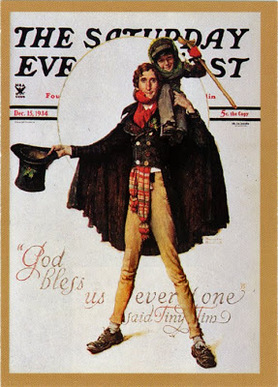 During this partnership, he created for the Boy Scouts an astounding four hundred and seventy-one illustrations for magazines, guidebooks, calendars, and promotional materials. His connection to the BSA spanned sixty-four years. 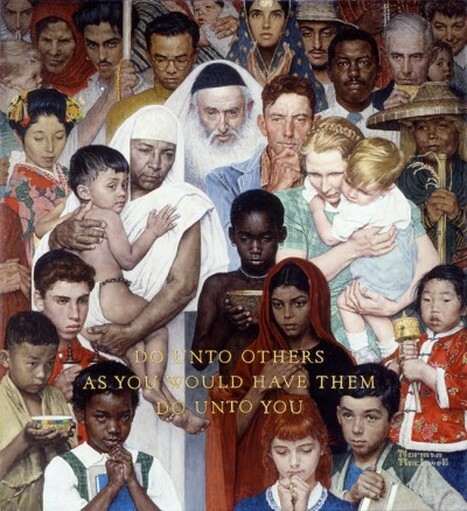 This magazine cover called, Do Unto Others As You Would Have Them Do Unto You, shows Rockwell’s concern for people of all classes, races, and nationalities. 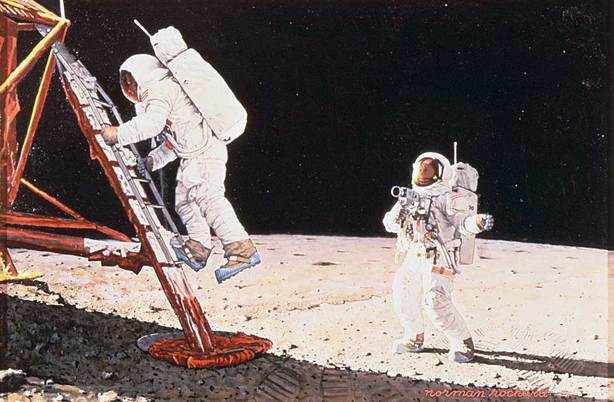 ​Rockwell also did several Look covers related to the U.S. Space program of that time period. The Space program was accomplishing many firsts. 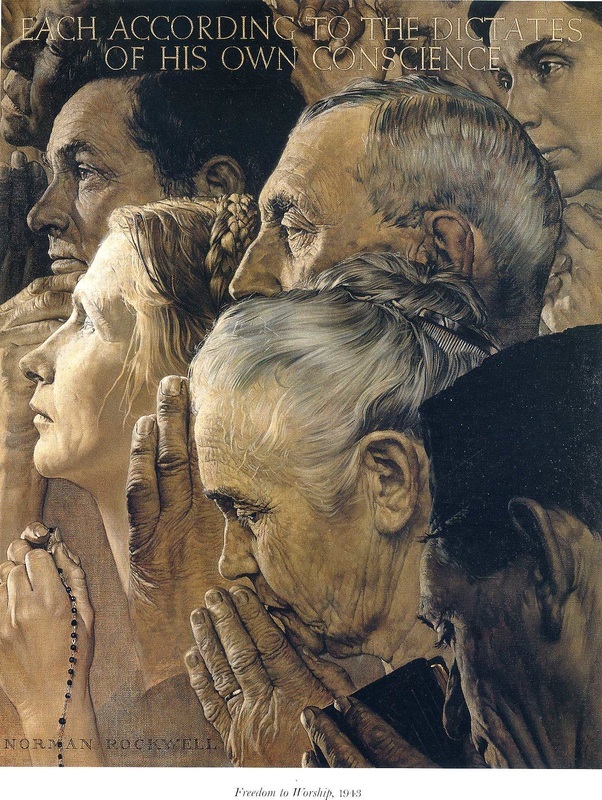 In 1943, during World War II, Rockwell painted the Four Freedoms series, which was completed in seven months and caused him to lose 15 pounds. 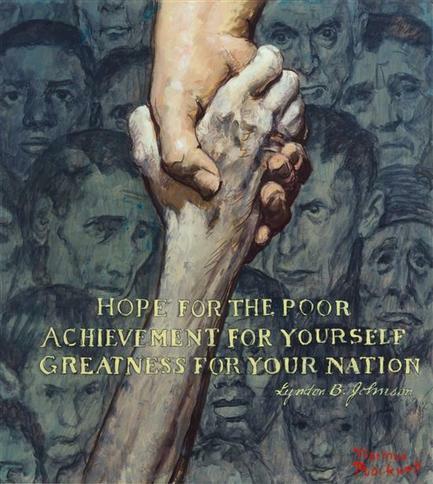 The series was inspired by Franklin Roosevelt’s 1941 state of the union speech. 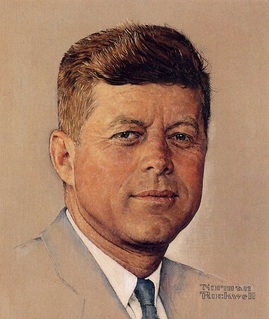 In his speech, President Roosevelt told of four essential human rights: Freedom from Want, Freedom of Speech, Freedom of Worship, and Freedom from Fear. 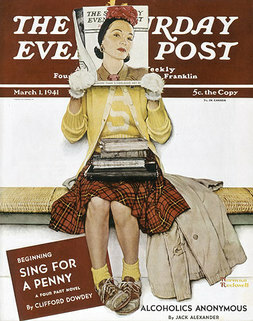 The paintings were published in 1943 by The Saturday Evening Post. 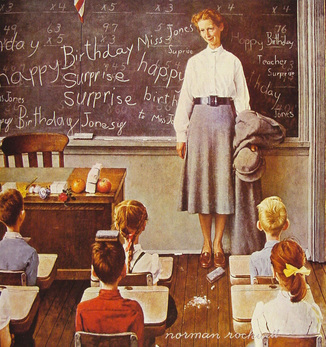 The United States Department of the Treasury later promoted war bonds by exhibiting the original paintings in 16 cities. By the end of World War II, 4 million copies of the Four Freedoms posters had been printed, and the touring exhibition had raised $139.9 million for the war effort through war bonds sales. 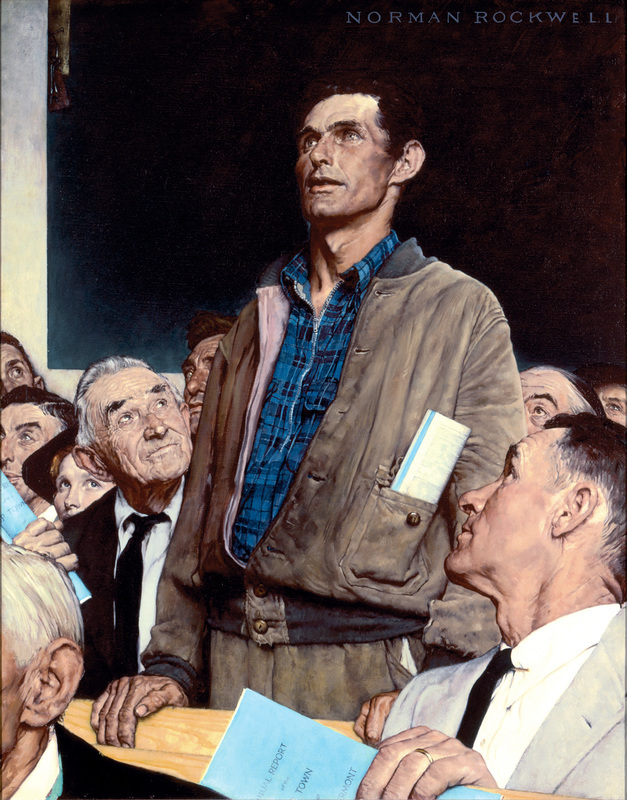 Rockwell himself considered "Freedom of Speech" to be the best of the four. 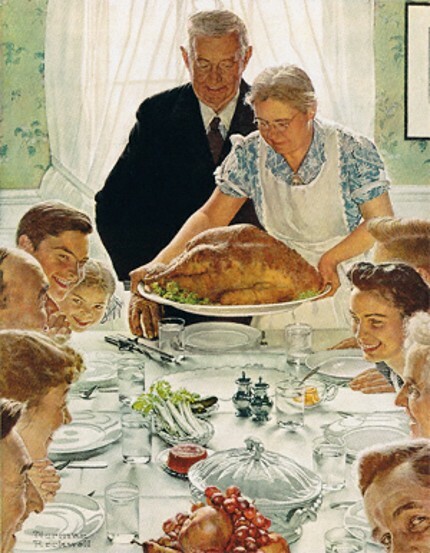 Freedom from Want is a classic picture of an American family Thanksgiving.